Michel Herr appears on 2 tracks of this compilation LP. + string section conducted by Michel Herr. 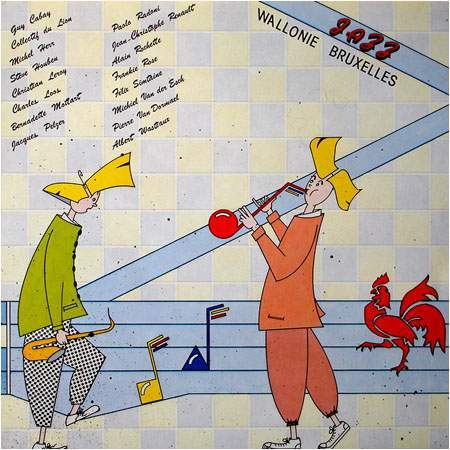 Compilation LP produced by Wallonie Bruxelles Musiques as a promotional tool, not for sale. All tracks have been previously released. Released around 1984. LP (WBM 285). The covers of volumes 1 and 2 are identical. Track 3, "Thinking of you" was recorded on Dec. 12, 1982 at Cornet studio, Cologne (D). It is taken from the LP Short stories (Nabel NBL 8309).Track 4, "Long Distance" was recorded in 1982 at Gam studio in Waismes, Belgium. It is taken from the LP Steve Houben + Strings (LDH 1004).